The blessings of our curly hair also come with a few curses. Yes, it's beautiful and unique with its different patterns and lengths and it always commands attention. On the flip side, curly hair routines sometimes require a half-day of preparation. One of my least favorite parts of wash day is detangling. Why? Because I’m tender-headed--trying to comb through even the mildest tangle hurts like hell. Coconut Oil: On occasion, I use coconut oil as a pre-poo but it also makes an excellent detangler. Starting on small sections, I smooth a generous amount of coconut oil into my hair until it is saturated. The more saturated it is, the easier it is to detangle. Using my fingers or a comb, I gently rake through my hair and watch the tangles disappear. This process can be a little messy, so I am sure to wrap a towel around my neck. Also, use a clarifying shampoo when you wash if your hair is fine so it doesn’t weigh it down. Q-Redew Handheld Vapor Wand: This method is my personal favorite way to detangle. The Q-Redew is a handheld steamer that provides moisture back into my curls. The warm vapor moisturizes, enhances the shape, intensifies deep conditioners, and detangles. After a week, my unwashed curls become matted and the detangling process can be a nightmare. The steam from the Q-Redew softens my hair and literally melts tangles away. To use I fill the reservoir with distilled water, attach it and then plug in the device. Once it’s heated and ready for use, I press the trigger and glide the prongs through my hair. I love it because it’s fast, it’s not messy, and gentle on my tender scalp. Read my full review on the Q-Redew. Conditioner + Wide Tooth Comb: This is the most common way that I detangle my hair. This method is the easiest because I do it while I’m in the shower. I start by shampooing my hair and then applying a generous amount of conditioner. Next, I section my hair into 2 to 4 sections. Using my wide-tooth comb, I start at my ends and work my way up to the root until the comb glides through with ease. I repeat the process on all sections and then rinse well. I try not to use this method if the tangles are really bad or my showers take too long. 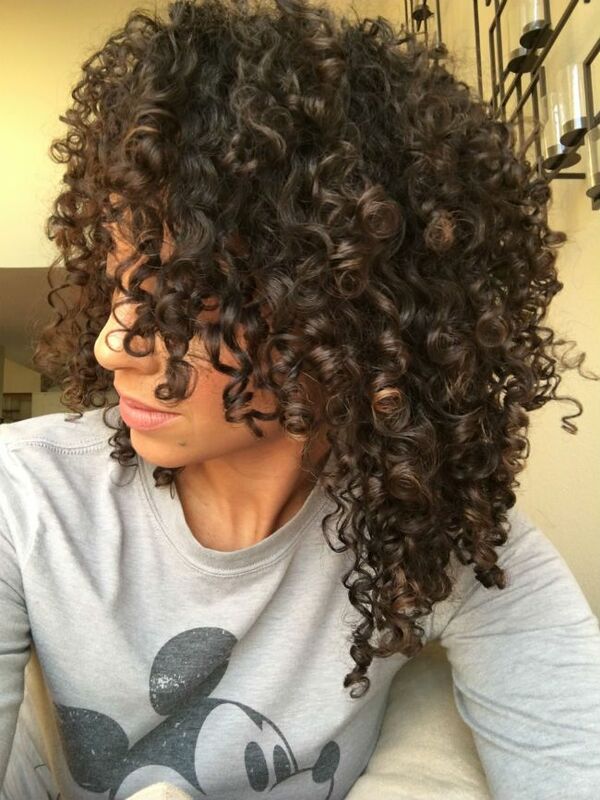 What are your favorite methods to detangle curly hair?